Do you have a pub, club, restaurant, cafe, bar, patio, summer event, factory or shed..... If you can think of it we have probably misted it! 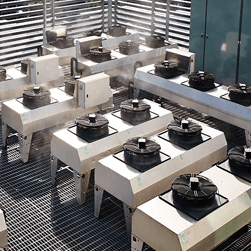 Ozmist is the leading misting system manufacture and distributor in Australia, providing mist cooling solutions for Industrial, Commercial and Domestic applications for over 17 years. 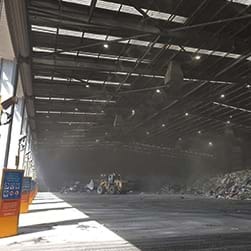 Do you have a dust problem? 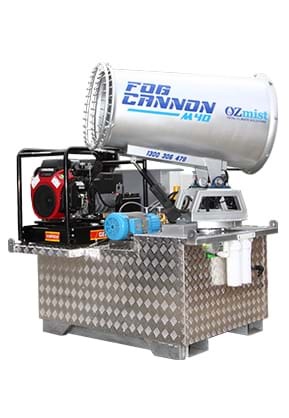 The M40T Fog Cannon may be the answer. The M40T is the only one of its type and fully self contained, making it ideal for sites where water and power are hard to find. The M40T delivers an impressive 18 litres per minute of high pressure water droplets over 40 meters, hitting the dust where it's being created and not allowing it to get airborne. 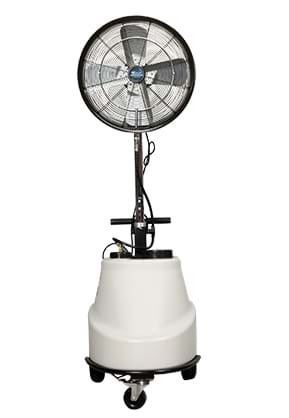 PatioMist Cooling Fans are available 650mm a Pedestal (portable) Mist version. 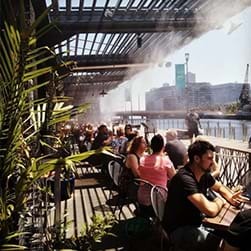 These fans are the latest innovation in misting system technology and do not need a high pressure pump module to create the very fine mist required for fast and efficient cooling. 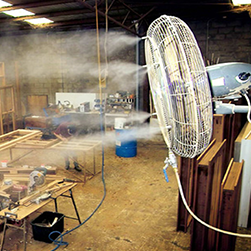 he PortaMist MK2 Misting Fan is the ultimate high pressure mist fan for both indoor and outdoor areas. 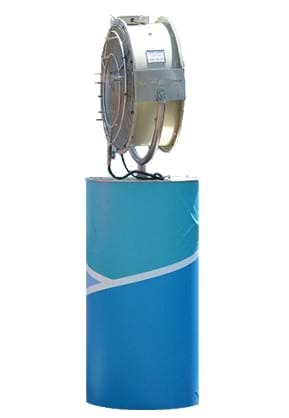 Industrial quality, versatile and stylish good looks make the PortaMist MK2 perfect for the factory, workshop, backyard, animal cooling, sporting events or the Hire Industry. 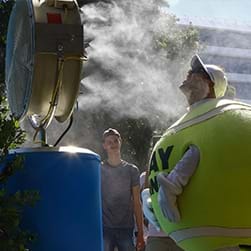 Promote your business at outdoor events with the Ozmist CanCool unit. Used at the Australian Open Tennis, Brisbane International, Clipsal 500 in Adelaide, Tour Down Under, Indy 500 and Movie World on the Gold Coast, Melbourne Grand Prix and Crown Casino are just to name a few. 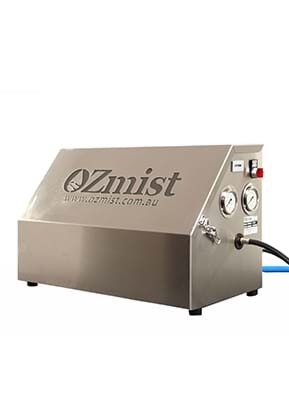 Installation of all Ozmist Misting Systems is a quick and simple process. 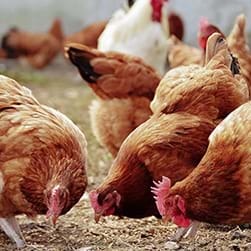 Ozmist supplies a comprehensive range of tube and tube fittings to suit our 'Quick Fit' stainless steel and high pressure nylon.